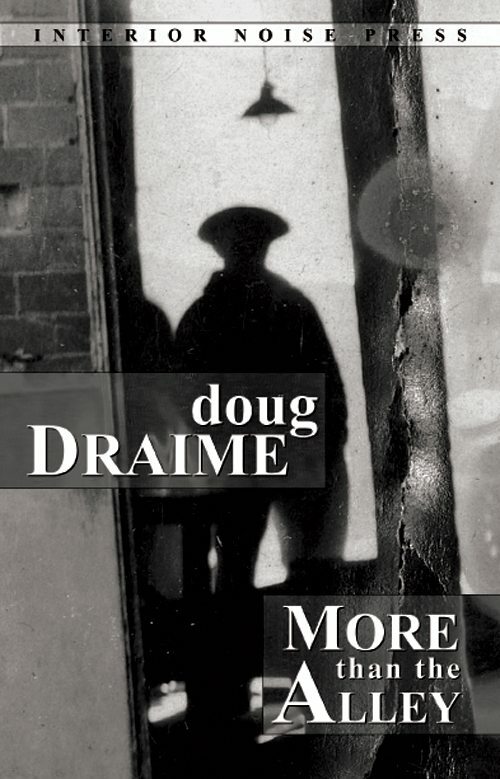 Ah, Doug Draime. What to say about the man? He is a gem of the small press and his poems are bursts of fresh air among too many other gulps of same ol’, same ol’. This book—this beautiful, robust, necessary book—will not disappoint even the toughest of small press critics … a category I generally find myself gracing. So take it from a source who’s been around the indie press block a few times: Draime’s the real deal. Interior Noise Press puts a lot of work and passion into their creations, and this collection is no exception. Cover to cover, it’s laid out beautifully, meticulously edited, and bound in sturdy trade paperback. Worth every cent for the words, of course, but definitely just for the packaging and (insane!) quantity of poems alone, if nothing else convinces you. the couch, or sometimes the floor. dancer. (From How He Met His First Wife). I joked with one of the cops. and he makes no apologies for knowing their pain well enough to comment on it. He’s clearly been there … more than once. I say with no criticism but with earnest truth that this is not a lighthearted read, not an enjoyable patio selection with the book club. Some of the scenes are downright hard to stomach and will make even the most galvanized of men grimace. The poems are best served with a side of rocks and the knowledge that the journey you are about to take through the pages will not be flowery, but will be lasting and necessary. This entry was posted in Doug Draime and tagged Doug Draime, interiornoise press, Leah Angstman, more than the alley, Poetry by Monsieur K.. Bookmark the permalink. Draime is a man’s man, a poet’s poet, and the best kind of low-down, cheapjack guru of poetry and hard-knocks. Tough as nails and beautifully human work. Great review of a terrific book.